Articles about the Long Wharf performance from New Haven's Register and Independent. 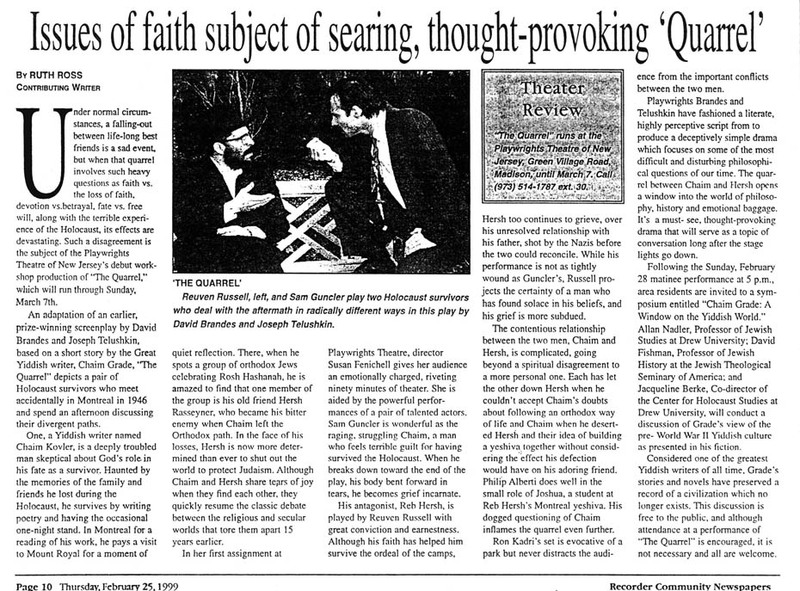 A review of The Quarrel Off-Broadway at the DR2 Theatre in NYC. A review of the performance at Makor/Steinhardt Center in NYC. 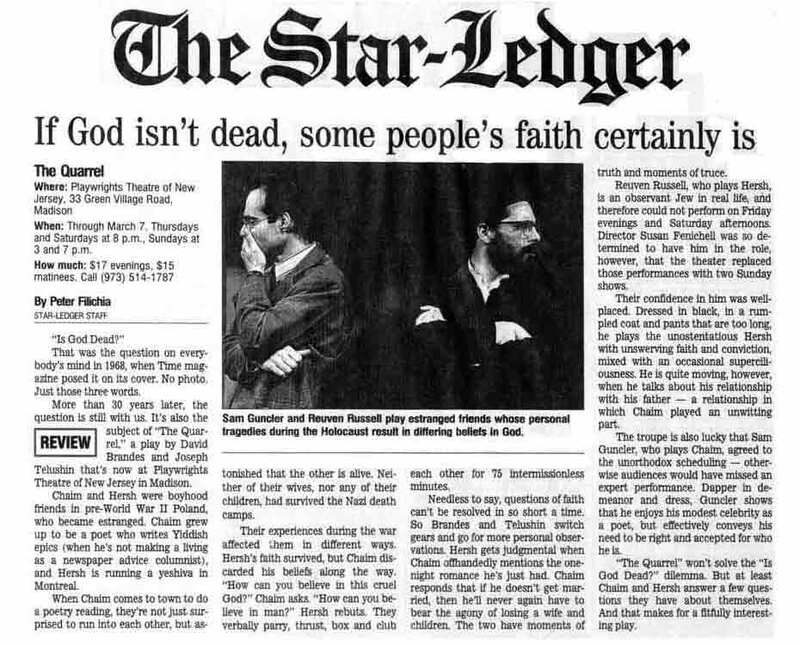 A New York Times feature on The Quarrel at Playwrights Theatre of NJ.